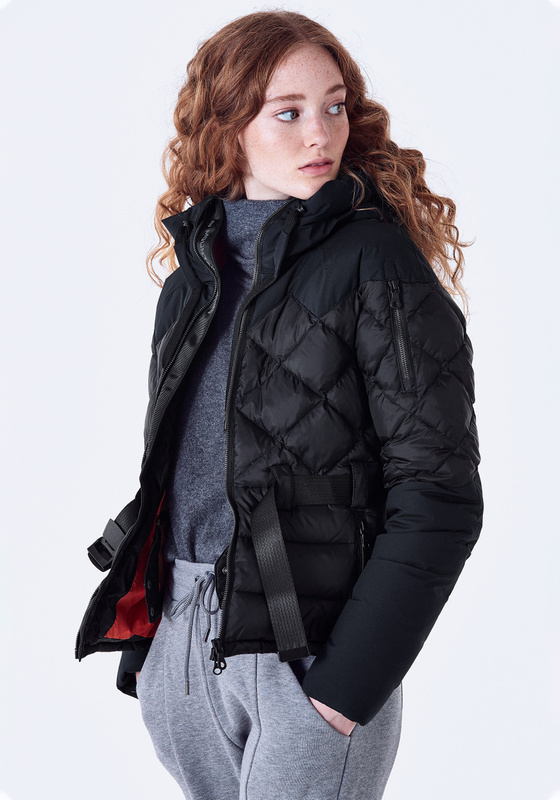 Ultimate winter down jacket with waterproof stretch fabric. Seams on shoulders and hood fully taped. 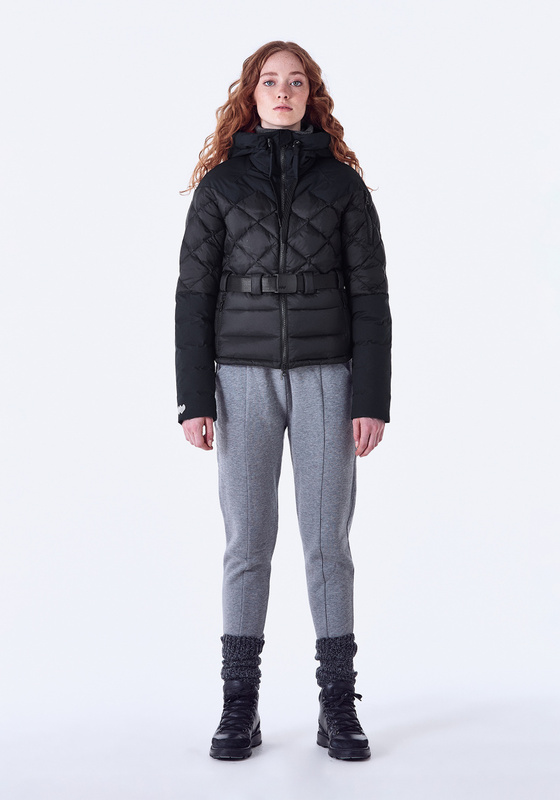 Detachable snowskirt inside hem makes it the perfekt jacket for speeding down the snowy slopes! Filled with high quality duck down mix at 550 FP for ultimate warmth. YKK Vislon METALUXE 2-way front zipper. 2 lower front pockets with YKK Vislon METALUXE. 1 sleeve pocket with YKK Vislon METALUXE zipper. Nylon belt with MW logo buckle at waist.